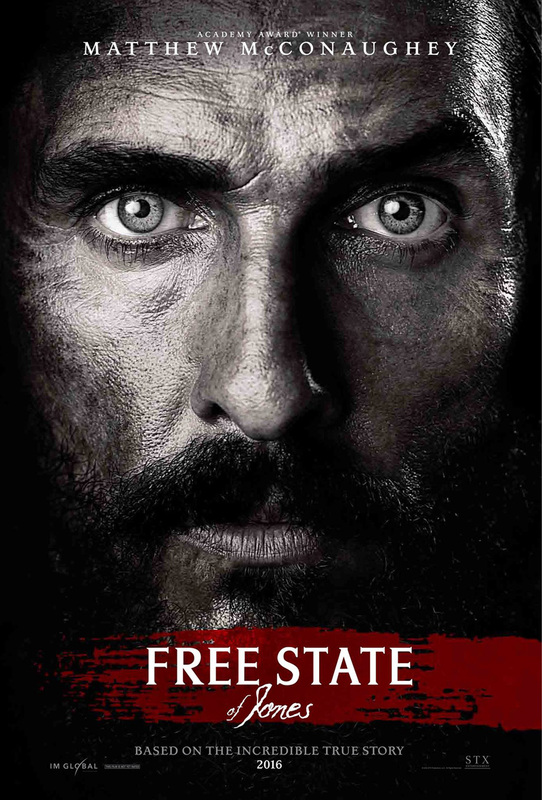 Free State of Jones is an epic drama set during the American Civil War and tells the story of defiant Southern farmer, Newt Knight (Academy Award®-winner Matthew McConaughey), and his extraordinary rebellion against the Confederate States Army. Bringing together an unlikely band of poor white farmers and runaway slaves, Knight launched an uprising that led Jones County, Mississippi, to secede from the Confederacy, creating a Free State of Jones. Directed by Gary Ross (Seabiscuit, Pleasantville) and starring Matthew McConaughey (Interstellar), Gugu Mbatha-Raw (Belle) and Mahershala Ali (House of Cards).